I never intended to do this Pacific X Tour Pro 97 Racquet Review. Let me tell you why. I have a broad and wide tennis radar and are open to testing new things, but I had completely forgotten about Pacific racquets. Luckily, this racquet was included in a batch of racquets I bought used. As most of you know, I like to buy and sell racquets. That is mainly the reason I started Tennisnerd and definitely the reason I have been able to test hundreds of racquets over the years. I have tested several Fischer racquets, but once they were bought by Pacific, I never got around to trying the new brand. And the point of Tennisnerd is to give information about a wide range of products and gear and it seemed such a shame to not have one single post about a Pacific racquet. 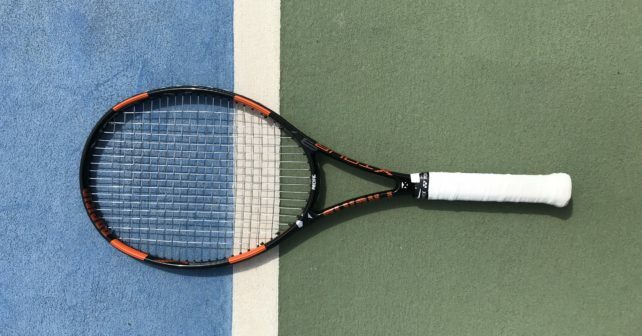 So here is finally the Pacific X Tour Pro 97 Racquet Review. The Pacific X Tour Pro 97 does not have an equivalent in the Fischer product line as far as I am aware. I know many of their frames do, but this one is rather new. The specs seem to align pretty with a Wilson Pro Staff 97 and the cosmetics are arguably quite nice. On paper, it seems to fit an aggressive baseliner with solid mechanics. I was also attracted by the Fischer Zero Tolerance which promises that the racquet should be ON spec. *Basalt X Technology – integrated basalt fibers in graphite that will improve feel and stability. *Zero Tolerance – the Pacific fabrication process enables frames with similar characteristics to have identical feel, even after you change racquets during a match. *Precise Grip System – You can change grip size without having to deal with glue on the pallets, easy to replace, just clip them on. If you want to read more about Pacific’s technologies, read this page on their website. I have seen listed stiffness ratings of 69 unstrung, 67 strung and 64 strung (Pacific). I don’t have an RDC machine to measure it myself, but the racquet feels closest to the 64 strung that Pacific claims it is. The Pacific X Tour Pro 97 has, like most Fischer racquets I’ve tried, a very noticeable sweet spot. When you hit the ball in the middle of the racquet you really feel it. It offers a nice sensation in the string bed, sort of like a more muted HEAD Pro Tour. Outside the sweet spot, the racquet flutters a bit more and I definitely liked it more when I added 6 grams of lead tape at 3 and 9 and an overgrip. This made the specs at 340 grams and 32 cm balance and I really liked the racquet’s performance like that (I strung it at 23 kg with Luxilon Alu Power ). It plays fast and with a good blend of control and spin. I really felt inspired to swing out and go for my shots with this racquet and I could really depend on the feedback from the string bed. I simply felt in control with the Pacific X Tour Pro 97. This racquet reminded me a lot of the Tecnifibre Tfight 315 Ltd 16×19 (2013) which I used to play with a few years ago. The racquet is not ultra stable, but fast and has a really plush feel in the string bed. It was quite addictive and I felt like the racquet did most things well. I especially liked it on serve, where the racquet comes through the air fast and has enough power to give you a predictable and fast-paced response. Second of all, I felt like I could really swing out with good control on groundstrokes. 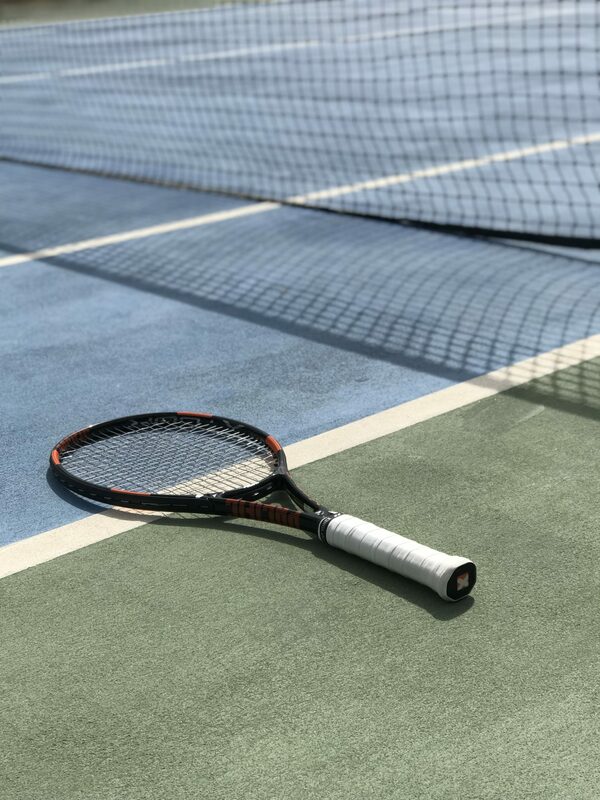 The racquet also felt stable enough to punch a volley for a winner, although definitely not like a Wilson Pro Staff RF97 Autograph Review (click to read my review). So all-in-all, a very surprisingly positive experience for me. This is the first Pacific racquet I review and it happened a bit by coincidence. But I am happy I did! A very impressive racquet with a nice feel and good response on pretty much every shot. I don’t think defensive baseliners would love it, because the sweet spot is small (but precise), but for attacking players looking for a fast-paced racquet – this one is a real gem in my book. However, it needs lead tape, otherwise, it is a bit unstable. In my current spec, it is one of the best racquets I have reviewed lately and I will definitely be keeping this one in my bag. Is it a racquet I will switch to? Possibly. I love the Angell K7 Lime (click to read my review) too and will test them side by side for a period and see which one fits me the best. So don’t forget about the smaller manufacturers and brands on the market, they can also produce excellent racquets and products. Do you like Tennisnerd? Do not miss a word or video by stalking us on social media. Every like, share and follow is appreciated! Their Pacific softy grip is nice too – except it doesn’t come in white.